I read with interest this week a tweet from Tom Bennett @tombennett71 followed by further debate with others. The interchange was amusing and light hearted and Tom as always had a serious and valid point to make. 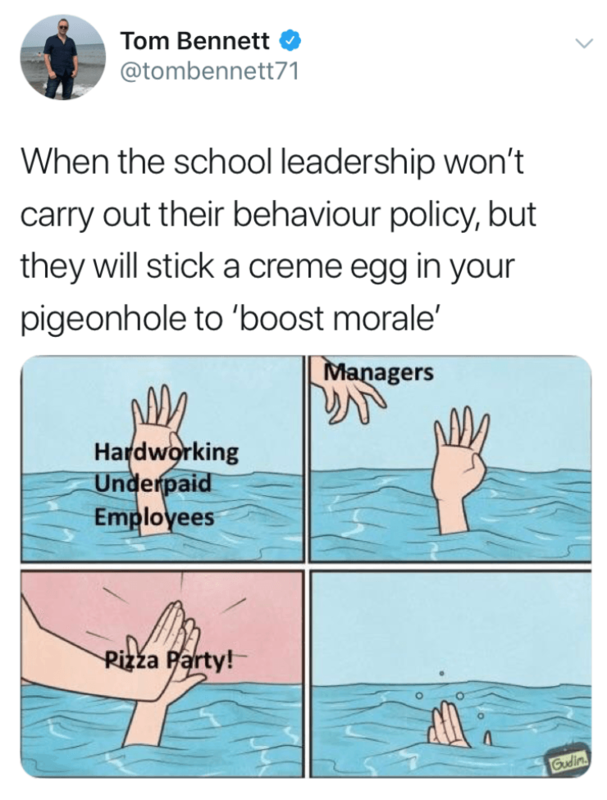 However, my immediate thought was that earlier that day I had stuck a Freddo in a pigeon hole in our staff room (of course other varieties of chocolate are available) and I began to reflect could this be perceived with any negativity, particularly after reading some of the comments that teachers were making on the thread. It of course would depend on the purpose and sentiment of this chocolate gift, was this being left to Boost the morale of the individual or an attempt to recompense the poor working conditions of a school? No of course it wasn’t and anyone who really truly believes that is simply Fruit and Nut. We started something recently in our school called ‘Freddo Friday’ as a fun way to recognise the little things that our staff may do to support students or other staff that you don’t get to really hear about or often you may just hear a wispa. Staff nominate other staff via a Google form by Friday each week as one of the Star Bars of the week and I hand them out in our weekly staff briefing on a Tuesday. The idea came from another school we work with but they hand out Curly Wurly’s, it is a really nice, light-hearted way of recognising all of the positives things that staff do on a daily basis. It allows staff to say to others that you have made a difference to me and that you are my aero and it a nice reward and bounty for the individual receiving it. We have found it to be positive, it is creating small ripples of ovation around the school and positivity in our galaxy. Right enough is enough I am now completely going off topic, however before I go I feel the need to at this stage to justify my choice of chocolate. 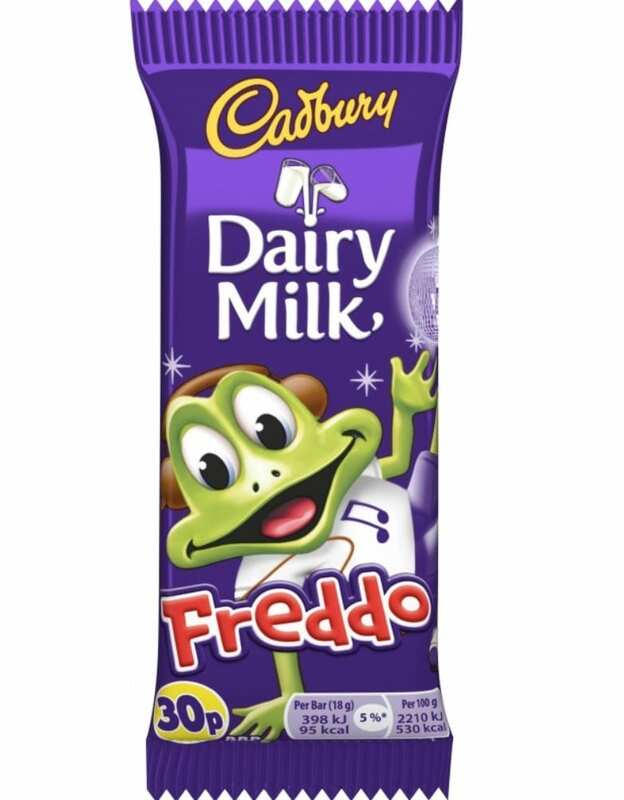 Quite simply in a time of austerity Freddo’s are much better value for money than a Cadburys Crème egg, although perhaps smarties could be the answer! So thank you to Tom and the twitter conversation for inspiring this blog post, I was in the process of starting to write some blog posts (it has been a while) about reducing work load and improving staff wellbeing and so this now feels like a good time to fudge it. If you want to leave some chocolate or any other confectionary in a pigeon hole then do it guilt free and run away quickly. Just remember it is a kinder thing to do so why not give it a twirl. What do you do in your school to ‘boost morale’ or improve staff wellbeing? It would be great to hear from you. Yes indeed, celebrations should be all inclusive and the working week has its moments and after all , it isn’t always a picnic ! Ahhh wonderful, thank you for continuing this! How did I miss celebrations?